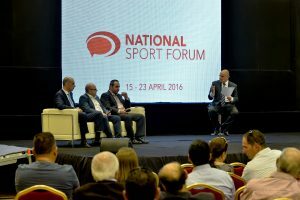 It was a very exciting week for SportMalta as it embarked in the organisation of the first National Sports Forum in Malta. Over 800 participants contributed in both the Forum that was spread over two days on the 22nd and 23rd of April 2016 and a number of cross sectoral seminars that preceded the Forum itself. The themes covered were various and intended to discuss not only issues strictly related to sports but other topics as well, highlighting the direct or indirect involvement of sports as a means to ameliorate one’s way of living. However the Forum went beyond these themes and also presented local issues such as the commercialisation of sport facilities and government land acquisition for sport utilization, both initiatives launched in the government manifesto and that now are being implemented. 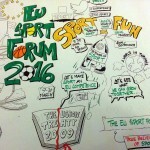 With Malta hitting year after year the highest statistical charts of the most obese country in the EU, the Forum also tackled how sports can be a crucial factor in combating such indicators. Furthermore the way of how sports can act as a platform to mental well-being both before and after a sports career was also examined. Ultimately all these discussions were put in context in Malta’s run towards its first ever Presidency in 2017, whose sport priority will be social inclusion through sport and physical activity. 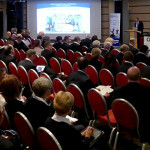 A number of seminars preceded the Forum and key findings resulting from such debates were presented to the participants. Areas such as the role of the civil sector in sports, the contribution of NGO’s to attract youths to the world of sports, the challenges of Gozitan athletes, the link between education and sports and also the involvement of the media as a means to provide a representation to the general public were the main themes of the seminars. 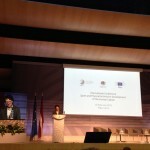 The Forum presentation was enriched with the participation of high level speakers hailing from different countries. SportMalta is honoured to have hosted Yves La Losteque, Head of the Sport Unit in the European Commission, Agata Dziarnowska Policy Officer of Sport Policy and Programme Unit. With the upcoming Maltese Presidency in 2017 -where of course sports will also feature as a main theme- it was a natural choice that the relevance of the presidency to federations, associations and clubs would feature as one of the principal subjects chosen for this Forum. Moreover the theme of voluntary work and social inclusion in the field of sports have been earmarked for the Presidency of 2017 based on the European Strategy 2020 and consequently together with the European Commission a sports work plan is being devised for the upcoming years. Other distinguished guests included Marijke Fleuren president of the European Hockey Federation, who gave an interesting presentation about the parents’ role in their children’s sport career. What decisions should a responsible parent take? Up to what extent should a parent interfere with the child’s decisions? It is a known fact that today parents are continuously pressured to choose between a numbers of options and unfortunately at times they choose to sacrifice sports. Nicola Pietrangeli, a former champion tennis player from Italy was invited and offered the audience a unique and most interesting interview regarding his long-life career. Another important guest at the Forum was Dr Marcello Presilla, Integrity Executive of Sportradar who spoke about the current challenges of responsible betting. 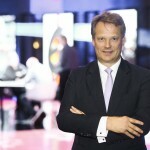 SportMalta felt the need to discuss a very actual theme that has been in the media for many years, although one understands the hard task of controlling such betting it is SportMalta’s responsibility to address such issues and demonstrate that betting with responsibility is not only possible but it can be a means of financial gain to the sports world in general. Thus it is the entity’s intention to launch an educational campaign in the coming future. The audience also enjoyed a remarkable interview with four Maltese top sports people from different walks of lives who shared their experiences and challenges in the roles they occupy. The success stories were those of Alfred Effiong national football player who came to live in Malta and adopted the Maltese citizenship, Vlada Kravchenko Paralympic swimmer who had to change her sport career from gymnastics to swimming following a tragic accident that left her paralyzed from her waist down, Josephine Grima national basketball player who also plays with foreign teams and finally but not the least Karl Izzo, national waterpolo coach who successfully led the National Team to the first ever participation in the European Championships. Apart from the Forum itself bilateral meetings with the top officials from the European Union were held, giving positive results and thus promising well for the future of Malta in sports.Ultimately these discussions will act as a means to come up with proposals and good practices for both SportMalta and the government that will be taken on board so that we all receive the best from this area that we all so passionately love and serve. In collaboration with PBS, the national broadcaster the two day Forum was transmitted LIVE on TVM 2 and streamed live on the Public Station website, giving the opportunity to people at home to follow what was going on both during the Forum itself and through a number of interviews that were being held in a studio specifically set-up for the occasion at Kirkop Sports Complex. Overall SportMalta is proud to have hosted over 50 professional key speakers who addressed and moved over 800 people from different walks of life but with a common interest in sports by participating in 6 seminars, 4 workshops, and a 2 day forum spread over a week. Moreover this event was aired during a period of over 7 hours of live transmission on the National Station. All this put together proved to be another success in the role of SportMalta to generate a positive awareness thus making Sport a key player in the Maltese political and economic agenda.